Saudi Foreign Minister Adel Jubeir said Tuesday that Riyadh had reached an arrangement on a ceasefire at the Saudi-Yemeni border in order to provide access for humanitarian aid coming to the war torn country. CAIRO (Sputnik) — According to Jubeir, Saudi Arabia supports holding of the intra-Yemeni talks. "We tried to work with all sides of the Yemeni conflict, including Houthi rebels, on the way of reaching the agreement," Jubeir said at a press conference on the sidelines of a consultative meeting of leaders of the Gulf Cooperation Council in Jeddah. 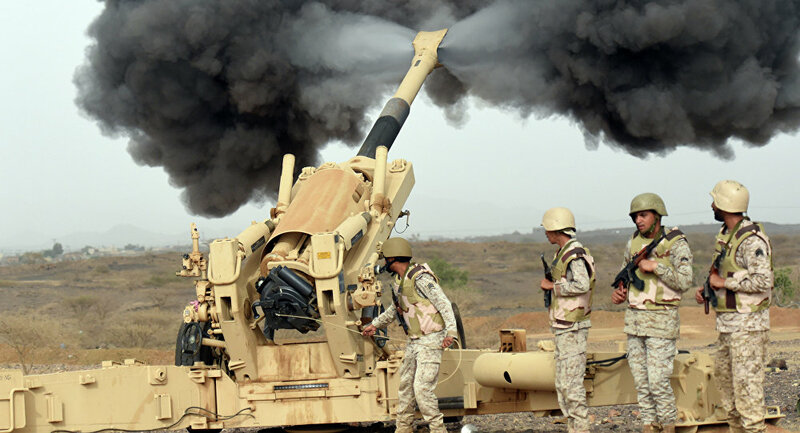 Since March 2015, the Saudi-led coalition of mostly Persian Gulf countries have been carrying out airstrikes against the Houthis at Hadi's request. The latest round of the UN-mediated peace talks between the Yemeni government and the Houthis started in Kuwait on April 21.